Home to one of the longest-lasting skiing seasons in the entirety of North America, it’s no wonder that Bend is one of the premier locations in the Pacific Northwest—if not the country—for all types of skiing, from downhill alpine skiing to invigorating Nordic skiing. Also known as cross-country skiing, Bend Oregon Nordic skiing offers skiers a breathtaking journey through Central Oregon’s ethereal winter landscape. All while getting their blood pumping on an enjoyable workout! For equipment rentals and lessons, the Mt. Bachelor Nordic Center (just a half-hour drive away) will have your needs covered. Mt. Bachelor also has over thirty miles of Nordic skiing trails. It’s an extensive network of trails that takes skiers of all skill levels through the adjacent Deschutes National Forest. It’s the ideal place for a stunning journey through the winter wonderlands of Bend, with trails suitable for everyone. From cross country skiing beginners to experts bent on taking on the double diamond trails, there is something for everyone. Bend Oregon cross country skiing is for everyone! Other skiing locales in the area include cross country skiing in Bend Oregon, Dutchman Flat Sno-Park, Vista Butte Sno-Park, Virginia Meissner Sno-Park, and Swampy Lakes Sno-Park. Meissner’s trail network connects to Swampy Lakes Sno-Park just two miles up the road by way of over eighteen miles of trails. Throughout these parks, you’ll find a myriad of warming huts with fireplaces to keep you warm while you’re out on the trails. We recommend packing a lunch and making a day trip of it! If you’re in the market for lessons or equipment rentals and sales outside of Mt. 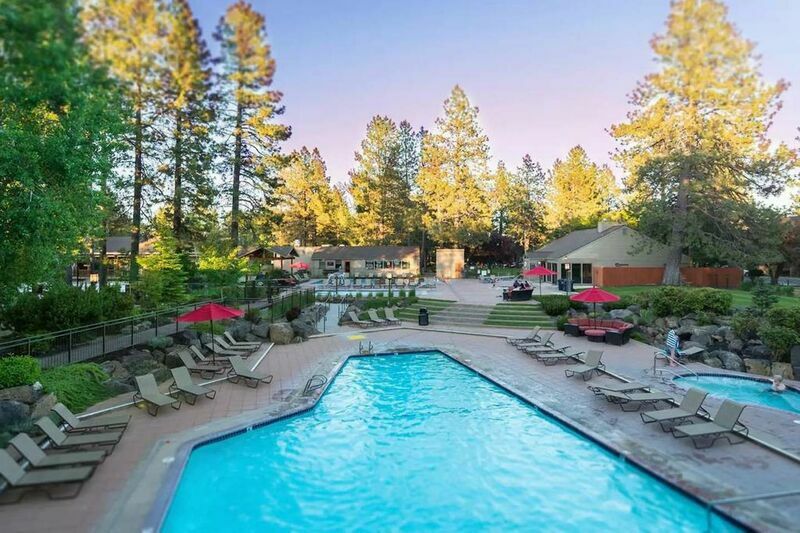 Bachelor, nearby suppliers such as Mountain Supply, REI Bend, Bend Endurance Academy, Webskis, XC Oregon, Pine Mountain Sports, and Sunnyside Sports can all be of great service to you. For those who are traveling with their beloved four-legged companions, the dog-friendly Wanoga Sno-Park is located just past the entrance to Virginia Meissner. Additionally, the ungroomed trails at Edison Sno-Park, Kapka Butte Sno-Park, and Skyliner Sno-Park also allow dogs. A tip before you hit up these fantastic sno-parks: purchase a Sno-Park permit! Required from November 1st through April 30th, you can purchase these permits at many of the retailers mentioned here. This includes Pine Mountain Sports. Contact our reservations team for more information on Nordic skiing and other activities and attractions waiting for you in Bend. Then, book your stay in one of our pristine vacation rental properties!